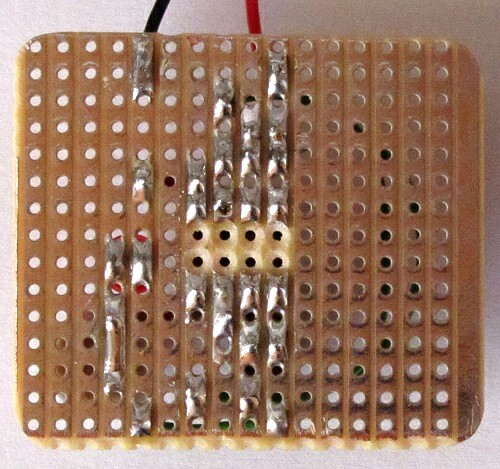 Permanent circuits can be built on stripboard by soldering components to it. This avoids the need to design a printed circuit board (PCB). 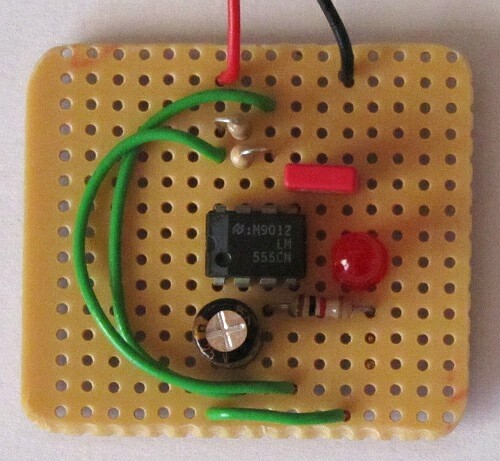 The video below shows the 555 LED Flasher breadboard circuit being built on stripboard. 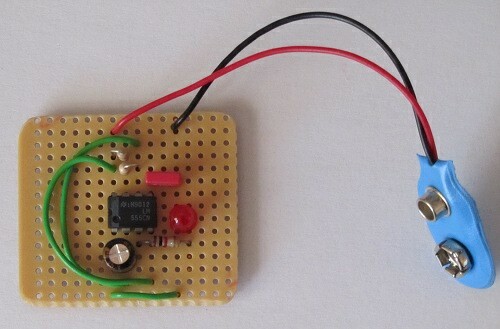 This circuit is built "on the fly", but beginners should carefully plan a stripboard circuit by drawing it first. All of the parts referred to in the video come from the above mentioned 555 LED flasher circuit, so refer to that tutorial for the circuit diagram and parts list. 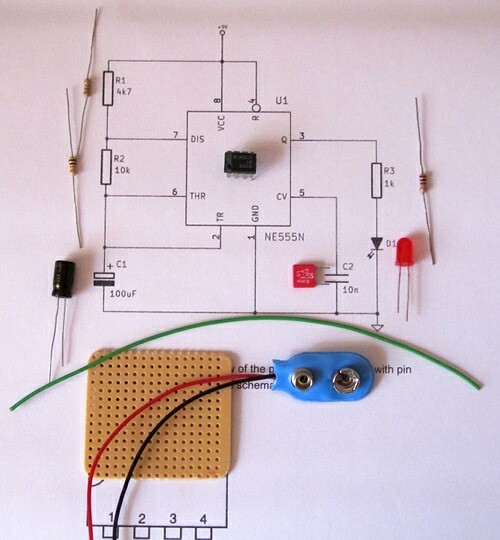 In the video, a copy of the circuit diagram is used that was printed from this website. A photo of the printed circuit diagram is shown below. Cut the stripboard to size. Get the parts and circuit diagram ready. If needed, plan the stripboard circuit on paper.